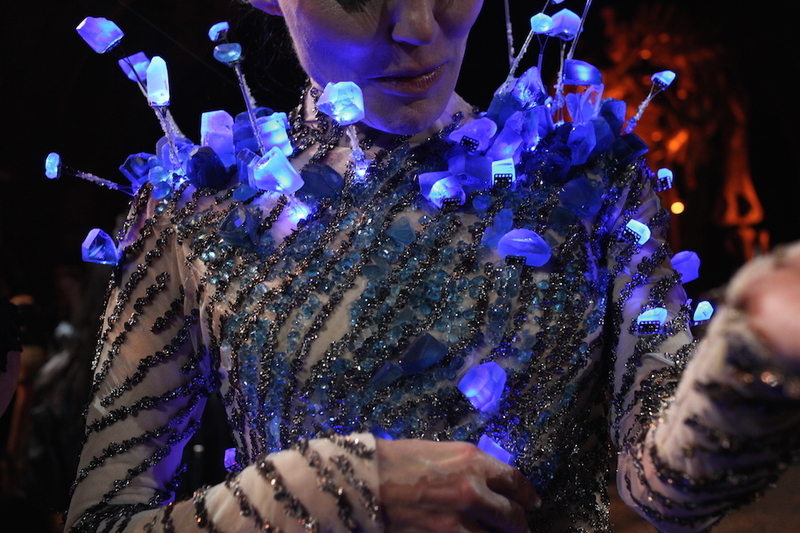 In collaboration with Deborah Milner and Ostro Minerals we created the most precious piece of electronic couture to date: an elegant body suit covered in illuminated Topaz stone with subtle waves of animated light running through the gem stones. 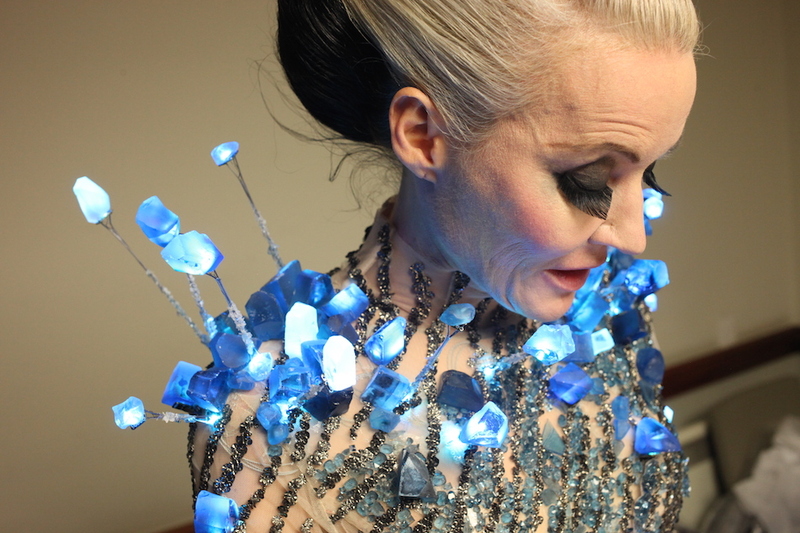 Daphne Guinness wore the dress during her appearance at the Natural History Museum celebrating the unveiling of the world’s largest cut Topaz. This entry was posted on Tuesday, December 13th, 2016 at 9:54 am. 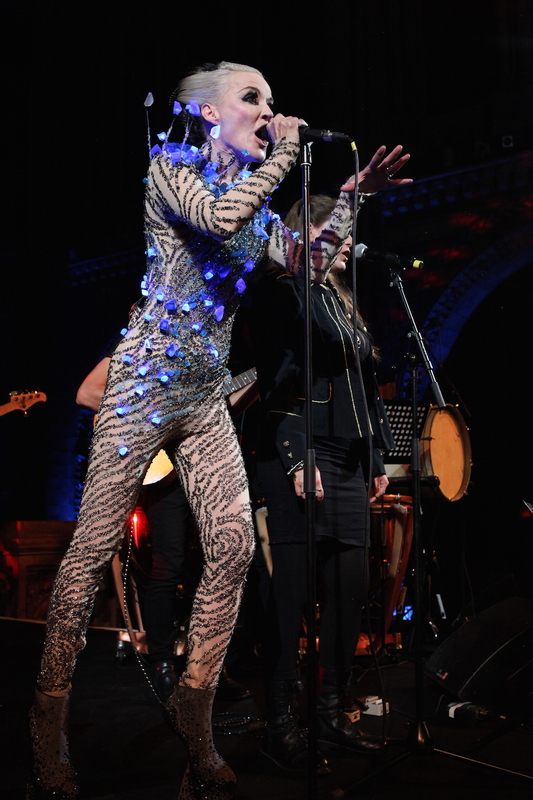 It is filed under ALL PROJECTS, FASHION, LIGHT DESIGN, MUSIC, PERFORMANCE. You can follow any responses to this entry through the RSS 2.0 feed.